through particular life experiences. 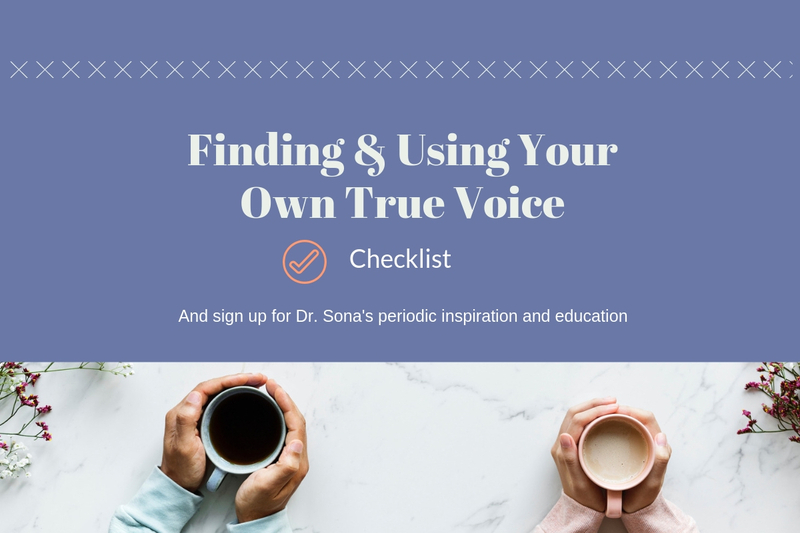 You may have lost connection with your true voice. and learn how to find and live as your true self and with your true voice. By signing up, you will also receive periodic emails with inspiration and education to support you in living your best life. And stay tuned for groups, workshops, retreats, & online courses! Sona DeLurgio, Psy.D, LMFT will use the information you provide on this form to be in touch with you with periodic content and news. Please indicate below your consent to receive these emails. You can change your mind at any time by clicking the unsubscribe link in the footer of any email you receive from us, or by contacting us at sonadelurgio@mac.com. We will treat your information with respect. For more information about our privacy practices please visit our website. By clicking below, you agree that we may process your information in accordance with these terms.